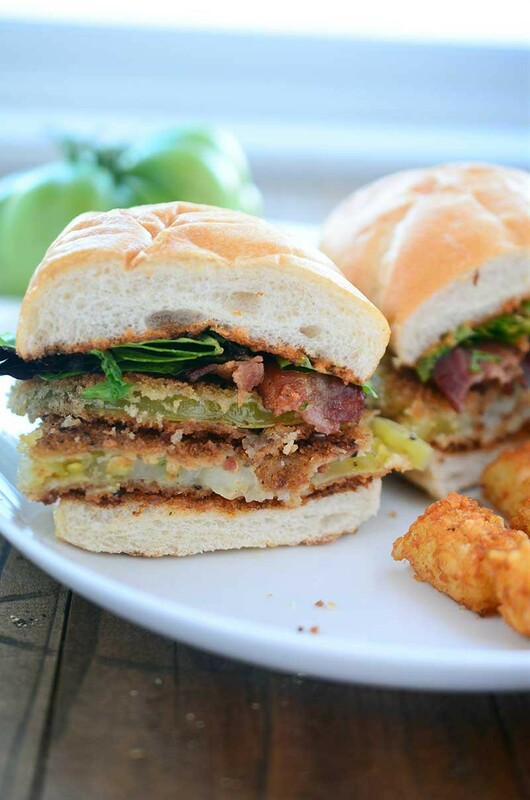 A fried green tomato BLT combines two classic foods into one comfort food sandwich. 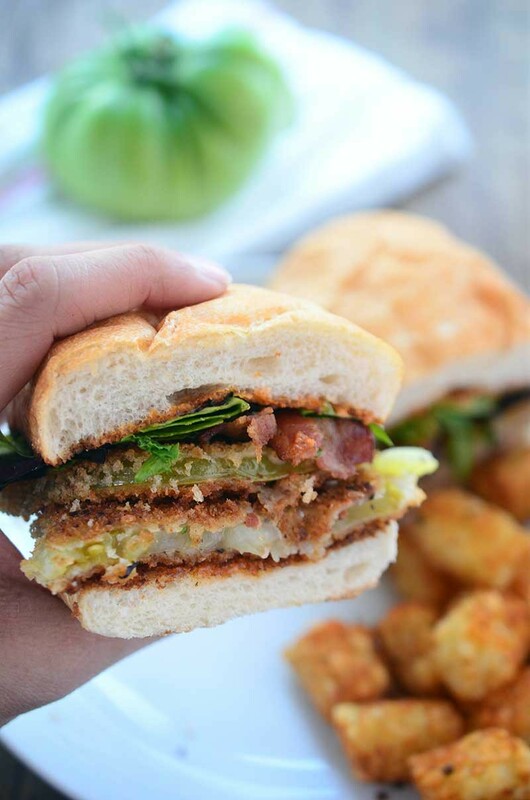 Fried green tomatoes and a bacon, lettuce and tomato sandwich become an epic Fried Green Tomato BLT. 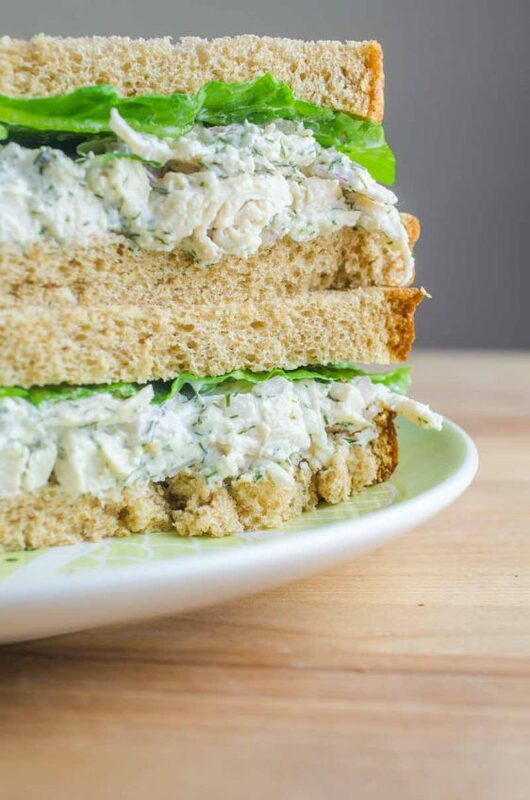 Topped with Cajun mayo spread, this will become your new favorite sandwich recipe! When I first moved to Seattle, someone told me that I would never be able to grow tomatoes. Last year, I couldn’t. It was pretty bad actually. I maybe had about 10 tomatoes between 4 plants. Sad, right? Well this year, the tomato force is strong. I am picking at least 30 tomatoes a day. We’ve got sun golds, green zebra, roma, aunt ruby’s green, and beef steak. They are not showing any sign of slowing down, either. I have no idea what I am going to do with all of them. And obviously, I’ve been picking some green ones so that I can make my summer time favorite: fried green tomatoes. Nothing beats a perfectly, golden fried green tomato. Except that is, this Fried Green Tomato BLT sandwich. I’m not quite sure why I never thought to make this before. BLTs have always been one of my favorite sandwiches. And fried green tomatoes have always been a favorite too. I mean, one of the reasons I grow tomatoes is so that I can make fried green tomatoes. 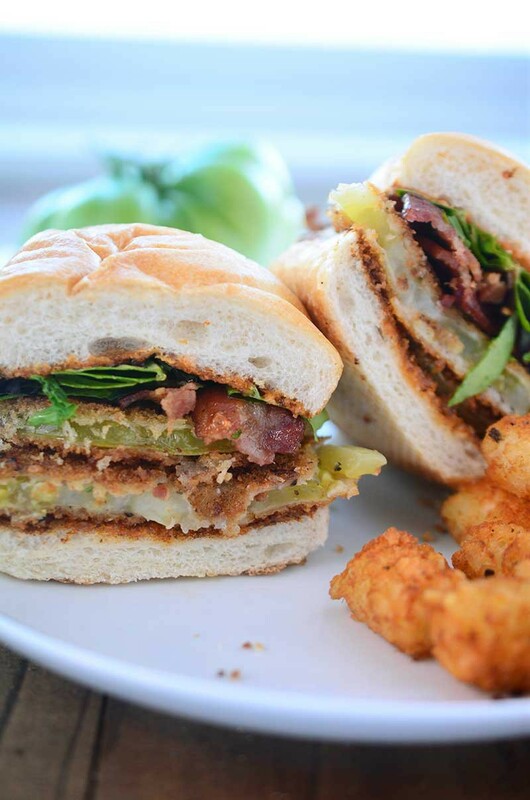 This Fried Green Tomato BLT combines the two. And it is glorious. While making this Fried Green Tomato BLT, I knew I would have the bacon, lettuce and fried green tomatoes. What I was unsure of, however, was which bread I wanted to use and which type of condiment I wanted to slather all over it. I ended up picking toasted hogaie rolls, because this is a pretty hearty sandwich and it needed a hearty roll to hold in all the goodness. Next up, I had to think about what I was going to spread on top. Cook bacon until browned and cooked through. Reserve pan drippings. While bacon is cooking set up an assembly line to prepare the tomatoes. Place flour on one plate. Whisk together milk and egg in a bowl. Combine panko bread crumbs, granulated garlic and salt together on another plate. Dredge the tomatoes in the flour, dip in the milk/egg mixture and then dredge in the panko bread crumbs. Continue until all tomatoes are coated. Transfer bacon to a paper towel lined plate and loosely cover to keep warm. Heat reserved pan drippings over medium heat. Fry tomatoes, in batches if necessary, until golden brown about 2 minutes per side. Transfer to a paper towel lined plate and sprinkle lightly with salt. Repeat until all tomatoes are fried. 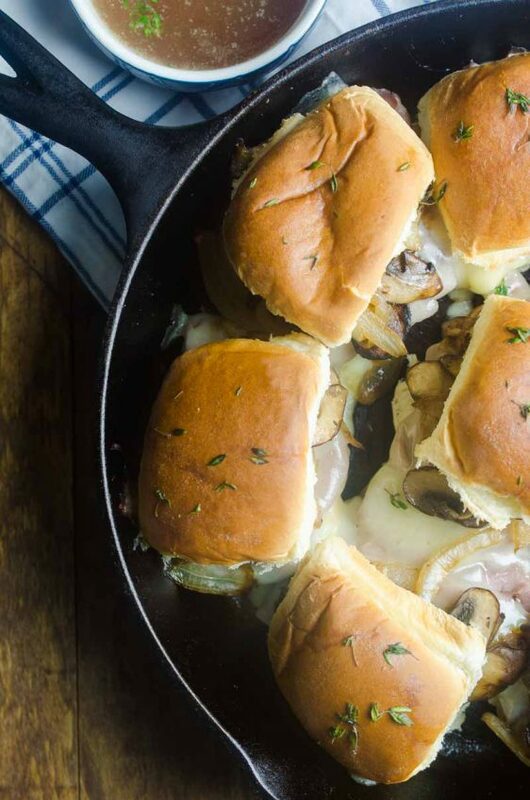 Turn on oven broiler and toast hoagie rolls. Make the Cajun mayonnaise by whisking together Cajun seasoning and mayonnaise. 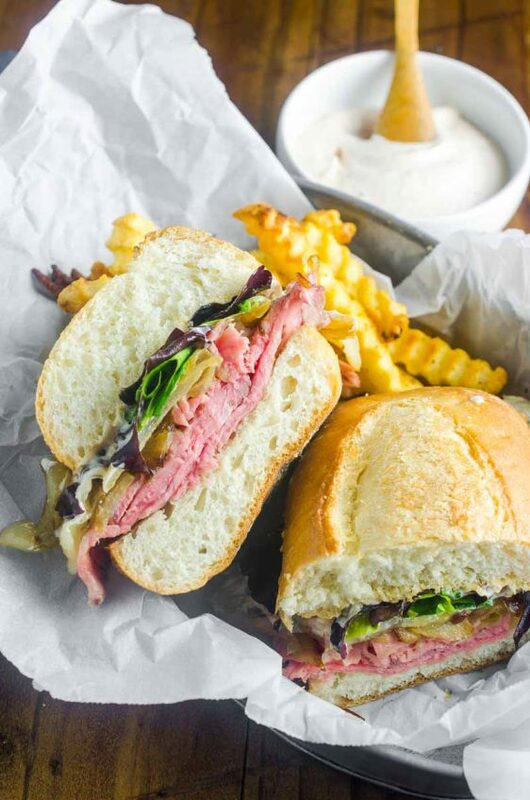 To assemble the sandwiches: Spread cajun seasoning on the toasted hoagie rolls, lay 2 - 3 fried green tomatoes on the bottom of the hoagie roll, top with bacon and lettuce. Repeat until 4 sandwiches are made. Serve immediately. 30 tomatoes a day?! That is insane. SO jealous! 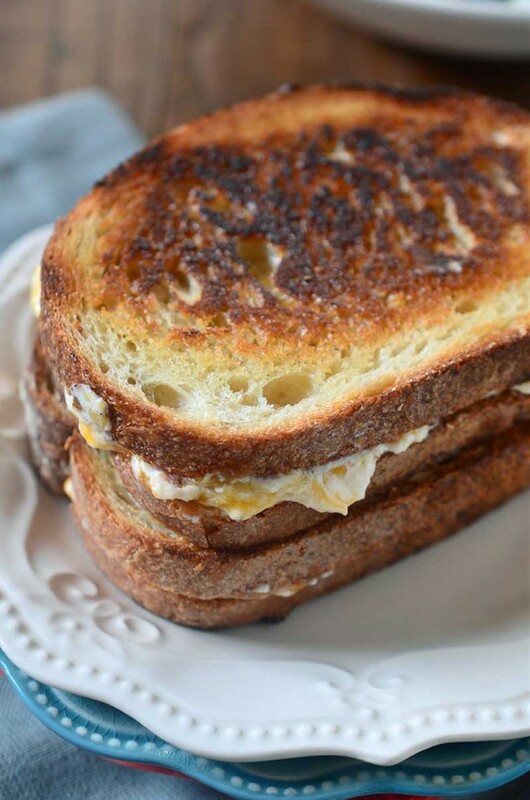 And this sandwich looks delicious! 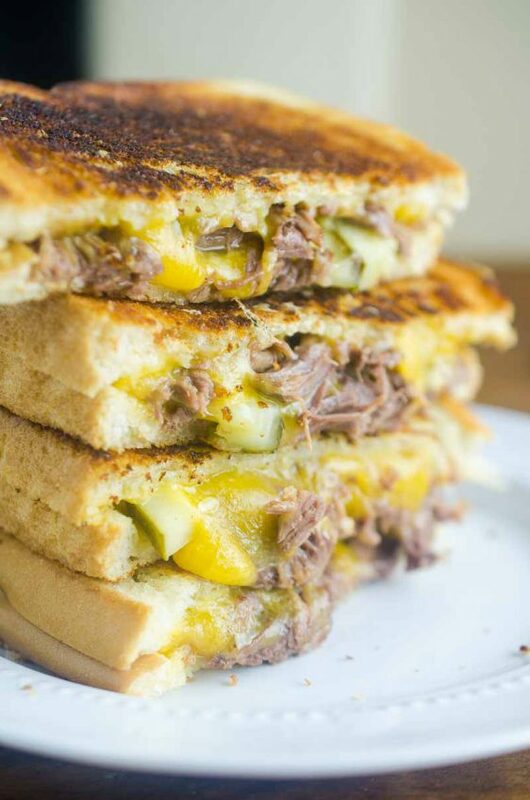 Holy moly… I need this sandwich in my life… pronto!! I have so many tomatoes in the garden, this needs to happen in my kitchen, and soon! Oh yeah! 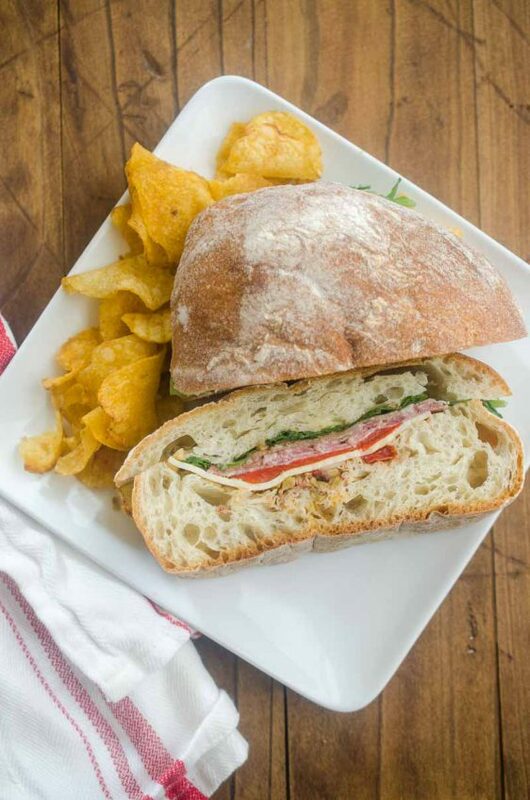 A fried green, BLT sandwich is where it’s at! Anyone who hasn’t tried fried green tomatoes is soo missing out! oh, what a fantastic looking sandwich!